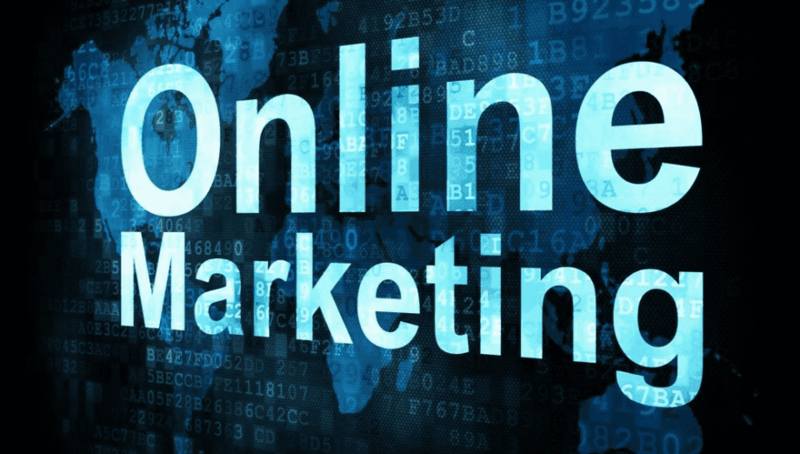 Internet marketing appears to be the most popular method to attract new customers and promote different kind of goods. It’s not a secret that usual ad doesn’t work and people prefer to look for required stuff through the Internet. That’s why if you want to promote your business, you should definitely use Internet marketing tools. Interactivity. You will be able to interact with the audience via Internet and prolong strong relationships. Targeting – is specific tool, which allows to figure out target audience for ads performance. So, only some users will see your ad, those who might be interested on it. Web-analytics — allows to specify effective actions which brought maximum profit and income to the business. Search Engine Optimization is the most required tool for every business. SEO promotion is a set of actions and settings which make your website visible on the first pages of Google. This influence on the number of visits and surely sales made from your website. Optimization is made with the help of specific keywords equal to real users’ requests. These keywords are added to the text and help to make your website more popular. Such promotion is completely invisible to user, because person just add request to Google and see required answers. SEO optimization is one of the slowest process. It takes a lot of time and efforts. SEO specialist has to be attentive to details and consider every single word. It is equal to building process, when you put one stone to another and some time has to be spent till you might see high, strong and beautiful building. Content marketing is another marketing tool which attracts users with the help of content. Users are in need of interesting, useful and valuable content. The main goal of such tool is to push user and make them perform target action – conversion. Content marketing is aimed to build a good company reputation. Comparing to social media marketing and spam, content marketing offers relevant and valuable information through content. The main goal of content marketing is to give users required information, put the record straight some issues and finally follow then through the sales funnel from start to end. As the result – you get more sales. There is no specific content type, which can be the win solution for business. Everything depends on niche you handle and preferences of your target audience. Content has to be profitable and interesting; it also has to push users to buy your product. That’s why before you will definitely define the content which really works, you need to test your audience and figure out which one attracts them most. Social Media Marketing is one of the most effective ways to gather your target audience, spread its boards, push the business on a new level, interact with audience and attract more and more new leads. Social networks are the main sources of really profitable traffic, attracting target customers and increasing audience coverage. More and more webmasters raise their income with the help of social network, because comparing to above mentioned tools, social networks are the cheapest when we talk about spends on marketing. Nevertheless, you should consider that social media marketing mostly works as a great tool towards well-known brands, which always communicate with audience, share promotions and other discounts via social networks. Social media marketing allows to raise customers loyalty, brand awareness and surely increase sales. PPC ads means payment for every visitor, who clicks on your ads and then is redirected on your website. Such payment is used by most advertisers especially in Google ads. Such traffic appears to be relevant and profitable, because user sees ad at the moment he is interested in specific goods or service. PPC is used not just in search ads but also in banner ads. According to your goals and needs you may choose desired payment method for your ad. If your aim is to advertise a little-known product of promote poorly-known brand, then such ad will not bring your results you want. First of all, users will never search the stuff they have never heard about. They even don’t know how it looks, that’s why banner ads is not the best idea. What do you need to do then? First of all, raise your brand awareness and generate the users’ demand on your product/service. In order to define which payment method is the most effective for your ad, you need to try some and compare result. Because there is no well-known method which will be the best solution for every strategy. Everything depends on sphere, product, users’ needs etc. Partners marketing is the main tool to attract customers in the Internet. You can raise sales using this tool immediately with minimum efforts. Partnership marketing works only if partners are loyal to you and they are interested in your product, and of course motivated too. Because they will have to attract customers for you, surely they will require to get some profit for themself too. Referral program. This type is based on recommendations and praised by some profits like discounts or promotions, maybe some other profits which will help your partner to promote his business too. For example, your partner recommend your business and get 20% discount on your services for him. Affiliate program. This partnership means attracting new customers for performing some type of target action. For example, if you get new leads or sales, your partners will get income from it too. Email marketing is aimed to work directly with your target audience and for product promotion as well. This tool prolongs real communication between business and customers which influence on customers’ loyalty towards the business. A lot of people mixed up email marketing with SPAM. But SPAM is a mass email marketing which doesn’t ask for users’ permission to use personal data. Email marketing is a communication with users who already agreed to share their personal data. e-mail-marketing is one of the most effective tool among others who are aimed to work with customers. Because it allows to build long-term relationship with subscribers. It helps business to raise sales and get customers for the whole life. 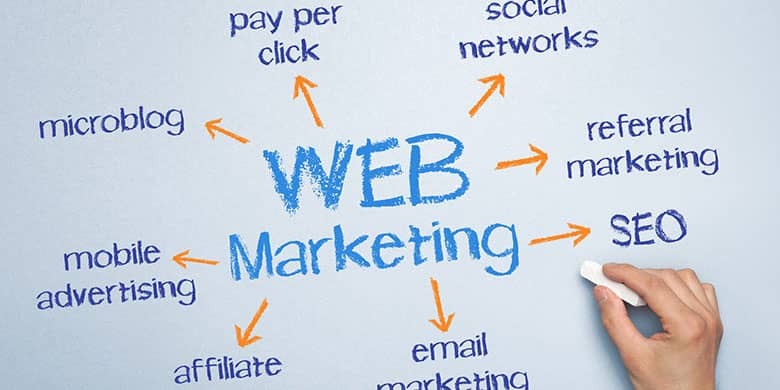 Web marketing is the popular and effective way to attract customers and it shares several channels to use. You should try each of suggested and find the most effective for yourself and your business. Internet marketing might seem confusing for starters, but don’t get down with it. First of all use channels with a huge audience such as social media marketing, select your own audience and then just test the water to figure out which content your users will like the most. We wish you to generate more contenting ideas! Are you tracking Facebook ads correctly?